Unleash a fury which has never been seen in a browser MMO with 2 NEW Varium Megapacks! 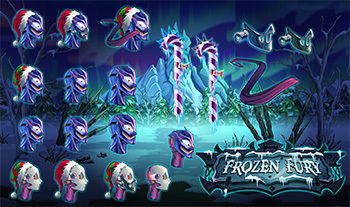 Get fully-equipped with Frozen Fury-themed scythes, armors, bots, mutating weapons, sidearms, and auxiliary weapons. This awesome gear comes loaded with SIX new cores! This gear will allow you to dominate your foes in EPIC PvP battles. Take a break from the conflict between Edgar Boothe and Alydriah to explore the Frysteland wilderness and investigate the mass disappearance of yetis and blood hawks. Torgan will guide you through this quest to unravel the mystery of Frysteland's delicate ecosystem while also offering new, exciting season rares! 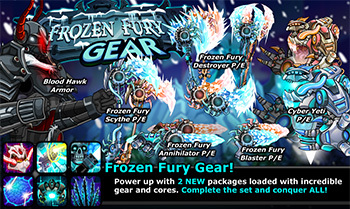 Unleash a barrage of icy wrath with an EPIC assortment of new Frozen Fury Gear created by Guest Artist SarpDV! Each Megapack has so much content, it'll be easier just to list them out. 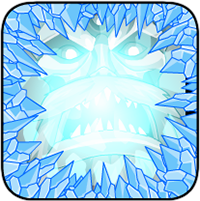 Mutate into a Yeti Hulk to deal 115% damage with 40% lifesteal. Usable below 25% health. Do a mini-Rage equal to the percent of Rage you currently have available. 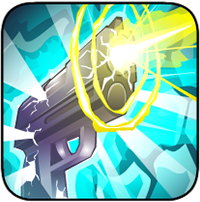 Overload your gun, ignoring 35% of target’s defenses. This renders your gun unusable for the remainder of battle. When attacked by a bot, increase your Energy by 50% of the damage taken. Lower attacker’s energy by 50% of damage dealt to you. Lasts 3 turns. All promotional item are also available on Torgan in Frysteland for Varium. 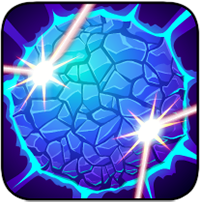 Power up with these Megapacks and unlease the fury of Winter upon your foes! This update, we introduced more prizes to the gift pool so you'll have a more impressive variety of cool prizes. Remember to login every day to claim your free daily prizes! This feature has been extremely well-received and we're simply floored by the generosity of our players! We"ve also been impressed by the use of social media to distribute and schedule gifting times. Again, this feature would have fallen flat without the inspiring enthusiasm, dedication, and generosity of our players. Keep being awesome! For those just learning about this feature, Beleen of AQW fame just posted a video tutorial demonstrating our EPIC new gift feature! 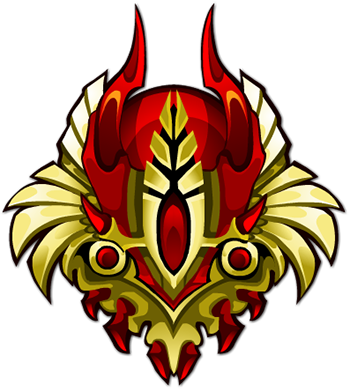 Check it out if you're new to EpicDuel or just heard of this feature. Now, in addition to giving pain to your fellow Duelers, you can give gifts of holiday cheer (and load and LOADS of credits!) to friend and foe alike! Thanks again, Beleen, for this epic video! Duel On! ...for rating points! 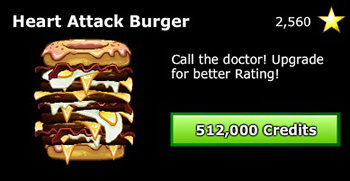 This burger bad increases in awesomeness and caloric value as you deposit Credits into it. It also increases your rating points! We're going to need new stars. 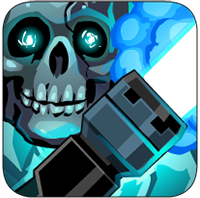 Or skulls? Something cool. We're also boosting many Legacy achievements' rating point values as a small token of gratitude for those who've supported us for years. 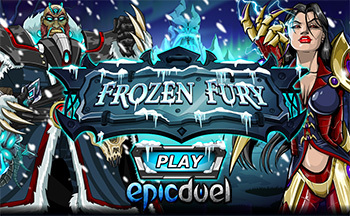 We never could have build EpicDuel into what it is today without you! That was the best bear pun I could come up with. There's nothing really funny about an apex predator clad in futuristic battle armor. 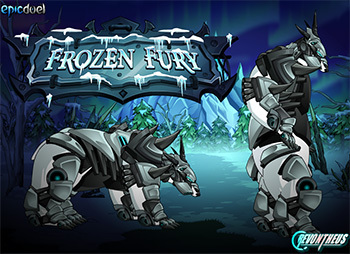 Terrorize Frysteland with this new Revontheus-crafted Polar Bear mutation available at Torgan in Frysteland. He's also packing all the latest and greatest seasonal loot so be sure to pay him a visit if you're around. He get's pretty lonely talking to his pet Blood Hawk all day. Maybe bring him a cup of hot cocoa. Make that 2. His bird gets thirsty, too. 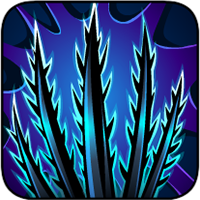 Rabble and the balance team have introduced some new changes to EpicDuel's balance. Check out a full list of changes in Rabble's extensive patch notes. That's right! Part 3 is still on the way and it's already packed with enough content to rival this epic release! Stay tuned for more updates as Frozen Fury reaches its thrilling climax! 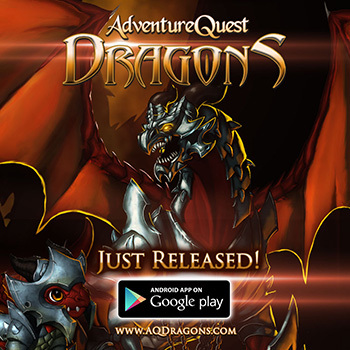 AdventureQuest DRAGONS Is Now LIVE! Cookie Clicker & AQWorlds Team up! We teamed up with the creators of Cookie Clicker to createADVENTUREQUEST DRAGONS! Dragons is an idle game where you raise beautifully painted, fully animated dragons from egg to baby to full adult form. Feature fan favorite dragons like Fluffy the Dracolich and Akriloth, each of the 12 Dragons has a unique story. We just went live on Android! 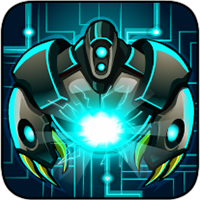 Get Dragons on the Google Play App Store! The apple version will be released the moment it is approved by Apple. 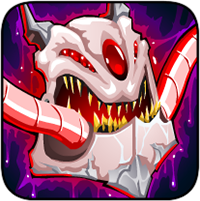 (Should be very soon) Please rate us 5 stars and share to help spread word of the game! 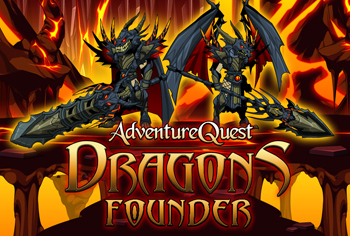 Get the founder package in Dragons and unlock the Flame Dragon Warrior class, armor, sword, spear, dragon help, epic cape, wings and a special character page badge in AdventureQuest Worlds.